What are the top landmarks in Orlando? Enjoy the rides and games at Walt Disney World® area and find out why this is a popular theme park in Lake Buena Vista. While in this family-friendly area, you can savour the top-notch restaurants. 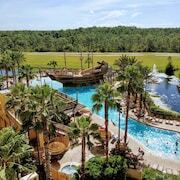 Enjoy a trip to Walt Disney World®, a well-known attraction in Lake Buena Vista. Discover the area's entertainment choices and theme park. Enjoy a trip to SeaWorld® Orlando, a well-known attraction in Orlando. Stroll along the seaside or visit the theme park in the area. 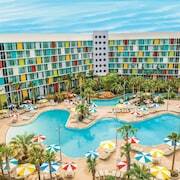 Enjoy the excitement at Universal Orlando Resort™ and see why people love this theme park in Orlando. Make time for the shops and adventure tours in this family-friendly area. Enjoy the rides and games at Universal Studios Florida™ and see why this is a favourite theme park in Orlando. Discover the area's entertainment choices and shops. Enjoy a trip to Magic Kingdom® Park, a well-known attraction in Lake Buena Vista. Discover the area's theme park or seek out its golf courses. 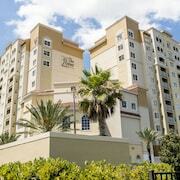 The Downtown Orlando neighbourhood welcomes visitors, with its convenient options for bars. For a taste of local culture, you can visit the live music and theatre scene. The Bay Lake neighbourhood welcomes visitors, with its convenient options for restaurants. The Sand Lake neighbourhood welcomes visitors, with its convenient options for restaurants. Take in the natural beauty of the wildlife and lakeside setting – or broaden your horizons with some local theme park and shopping. Lake Nona is a welcoming neighbourhood. In addition to its university culture, the neighbourhood has many charming qualities. Historic Downtown Kissimmee is a neighbourhood that welcomes all visitors. The neighbourhood’s festivals and sunny weather are just a couple of its charming qualities. Goldenrod is a welcoming neighbourhood. The neighbourhood has many appealing features, among them its university culture and natural features. Becoming a Walt Disney World planning pro! 5 planning tools for Walt Disney World. Opens in a new window. Best destination for 2016: Orlando. Opens in a new window. 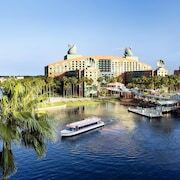 Expedia at Walt Disney World Resort. Opens in a new window. 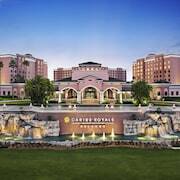 Luxury in Orlando and beyond. Opens in a new window. Why Universal Studios is fun for all ages. Opens in a new window. Missing a microwave, other than that everything was ok.
Beautiful, great bar and restaurants. Amazing pools, full gym. Rooms have awesome views and the staff provide excellent customer service. Orlando is the “Theme Park Capital of the World,” but its appeal is about more than twisty coasters and water slides. Thanks to its temperate climate and central location, this FL city captures a lot of sun worshiper tourism traffic nearly all year-round. Take an off-road ATV journey, jet ski on a local lake, or walk through a well-manicured garden. Then, when you’re ready for a high flying adventure, scream your way down the zip line at Gatorland. When you score Orlando accommodation deals, you’ll even have enough money to explore the famous House of Mouse, a must-see while you’re in O-Town. 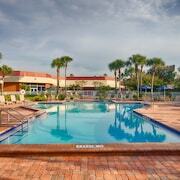 Accommodation in and around Orlando can meet any budget and travel need. Travellers who want to save their cash for admission tickets and theme park snacks can easily book a comfortable, family-friendly hotel. 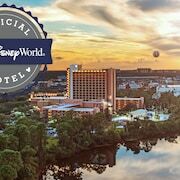 Meanwhile, luxury resorts in Orlando will cater to your every need and often include such high-end amenities as on-site spa treatments and an around-the-clock concierge. Orlando doesn’t have a proper winter, so if it’s a sunny holiday you’re after, you can turn up just about any time and get your dose of Vitamin D. However, from June to August the air is very humid and North Americans are visiting during their summer holidays. This makes the city quite packed, and hotel prices often go up. Visit from January through April for more comfortable conditions; the average temperature is about 21 degrees and the crowds are smaller. 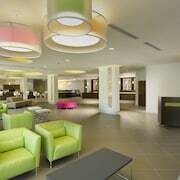 Expedia.com.my has the best deals on Orlando hotels, no matter your budget. Bring the entire family on a theme park extravaganza or make your Floridian getaway with friends. What are you waiting for? Your adventure in Orlando starts right here on Expedia.com.my today.